Yahoo CEO Marissa Mayer stands to make $55 million if the struggling company gets sold -- and she gets booted. The company revealed Mayer's severance package and her 2015 pay when it updated its annual report on Friday evening. Mayer's golden parachute would be a huge payout for a chief executive who hasn't been able to stop the technology behemoth's free fall. In 2015, the value of her company's stock fell by 33%. Most of the $55 million severance package is made up of restricted stock units and options. Only $3 million is actual cash. 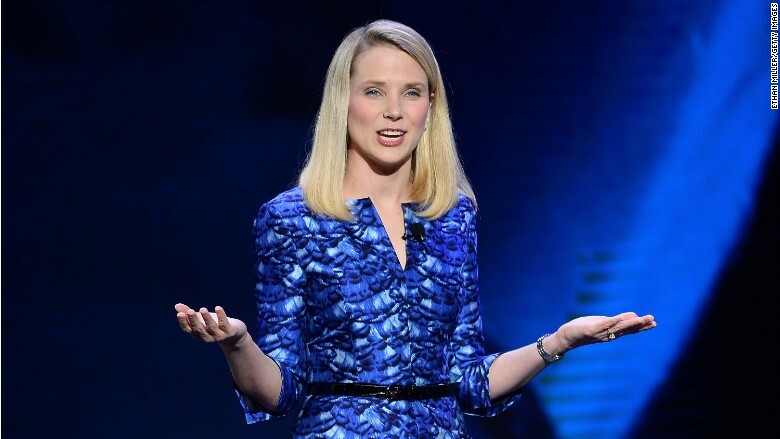 On Friday, Yahoo also revealed that Mayer got a significant pay cut last year. Her "reported pay" -- what she was promised -- was $36 million. But her "realized pay" -- what she was actually able to keep -- is closer to $14 million. Because of the complex nature of executive pay, she could wind up making more than that someday in the future. Either way, though, it's a massive pay cut from the previous year, when her "reported pay" was $42 million. Mayer's income was drastically reduced "because the company's 2015 performance fell short of the rigorous annual financial goals we set," the company states in its annual report. The report also reveals Yahoo's executives decided to give up their bonuses last year. Yahoo (YHOO) representatives declined to provide additional comment to CNNMoney. There's lots of attention on Mayer's pay, because her tenure at Yahoo could soon be over. Her four-year odyssey to improve Yahoo's finances hasn't worked. The company has spent billions of dollars buying promising firms and hiring well-known media personalities. It started focusing on mobile and video. Yet the company's core business -- Internet advertising -- has been completely overtaken by Facebook (FB) and Google (GOOGL). While Yahoo treads water, it's the tiny Silicon Valley players that are landing the huge deals, like Snapchat partnering with NBC for Olympics coverage. In an effort to cut costs, Yahoo fired 15% of its staff earlier this year. But the latest numbers were abysmal, with Yahoo posting a $99 million loss in the first quarter of 2016. 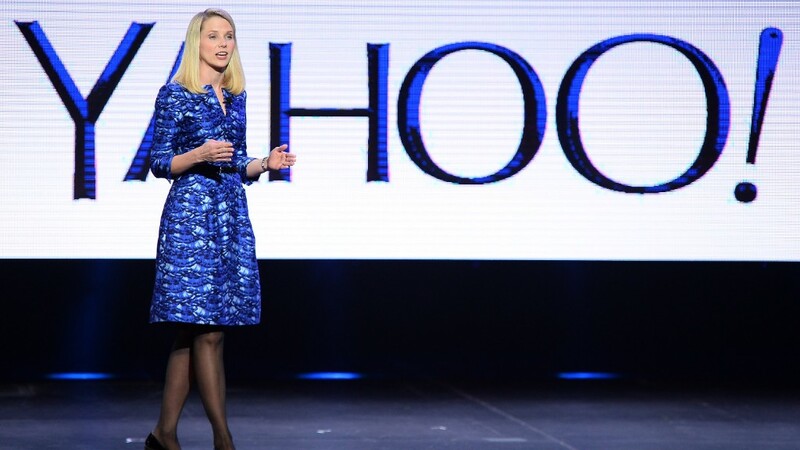 As a result, Mayer has said that selling Yahoo is now "a top priority." It's gotten so bad that activist investors have swooped in, and Mayer's arch-nemesis is now her boss. Activist hedge fund manager Jeff Smith, who has long fought with Mayer over control of Yahoo, has joined the company's board, along with three other executives chosen by him. CNN's David Goldman contributed to this report.